Below there is the beginning of autobiography of Tad Strójwąs – Rożnowski ‘I am Australian. Of Polish Descent.’ who passed away a few weeks ago. “I was living in Starachowice Poland when World War 2 broke out. German stukas (aircraft) were roaming over the sky and dropping bombs here and there, creating panic amongst the civilian population. Hours later, we were informed over the radio that Poland was at war with Germany and general mobilization was at hand. As Starachowice had an armorments production factory the civilians were panicking that it would be heavily bombed so they began collecting their belongings and moving to outlying villages. Of course as a thirteen year old boy I joined them and took the road to Pakoslaw where my mother lived and guess what happened next …..I ended up in the biggest battle! The Germans completely destroyed the village and yet only one bomb fell in Starachowice. I think I should have stayed put. Once the Nazis moved in with their regiments, requisitions started where local residents were moved out of their houses and occupied by German officers. 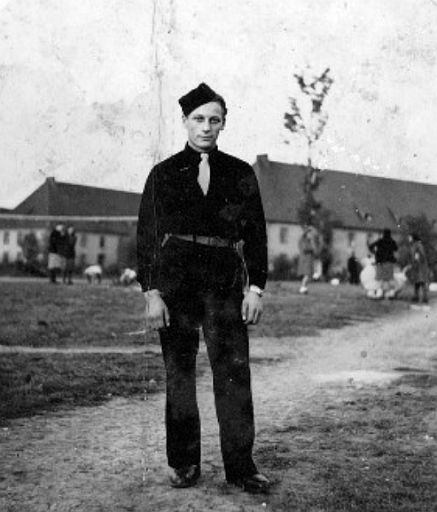 At the age of thirteen I had finished public school and was enrolled in high school, but found myself on the street since the Nazis had closed all high schools and did not allow the higher education of Poles. Jewish cleansing commenced and I sawJews being forceably loaded into cattle trains. Anyone who resisted was beaten. Since the autumn weather was not favourable many people where being knocked down into the mud and not given any help and generally mistreated.